Premier League Primary Stars | Premier League Primary Stars pupil and his chance to be referee mascot! Premier League Primary Stars pupil and his chance to be referee mascot! Newcastle United fan, Noel, was given a late Christmas present, when he was selected to be a Premier League referee mascot for the Magpies’ fixture against Manchester City on 27 December, as part of his involvement in the Premier League Primary Stars programme. 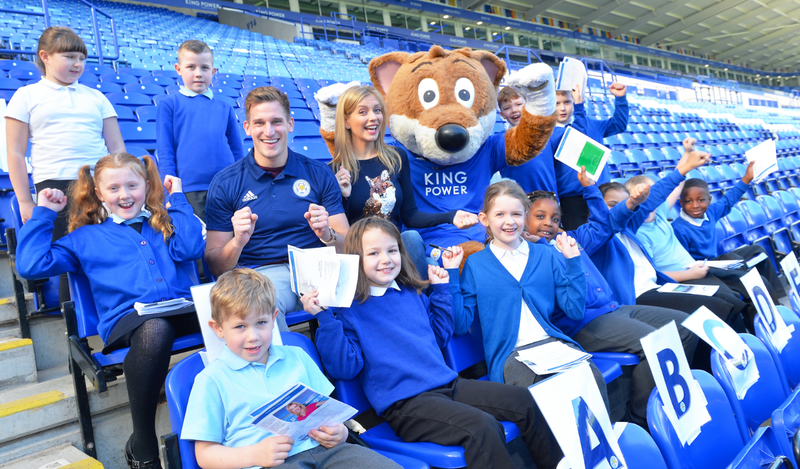 EA SPORTS™ has provided money-can’t-buy incentives like Noel’s referee mascot experience, match tickets and signed shirts to pupils that demonstrate one of the Premier League Primary Stars values of being ambitious, connected, fair or inspiring. Noel was selected for the referee mascot experience after demonstrating the value of ‘Being Fair’. Having recently joined a new school, Noel used his love of football to help him develop new friendships during class PE sessions which are supported by the Newcastle United Foundation. During these sessions, he encouraged his class mates to work together and be more inclusive. This fairness was what led to Noel being nominated by his teachers as the winner of the referee mascot experience. Dressed in his Premier League referee mascot kit, Noel arrived at St James’ Park and was taken to the home team’s dressing room pre-kick-off to meet all of the Newcastle matchday squad and the Manager, Rafa Benitez. Not only that, once he’d led the players out of the tunnel and given the match ball to the referee, he and his family headed to the stands to watch the game! Noel’s story is the first of many, with ten more referee mascot experiences available before the end of the season for pupils who demonstrate one of the Premier League Primary Stars values. Further to these incentives, EA SPORTS™ has provided motion capture technology to help develop some of the PE resources for the Premier League Primary Stars programme. You can discover and download the clips here.